K-Gr 1-Popular Pinkalicious and her brother visit a park, only to discover that it has become a garbage dump. 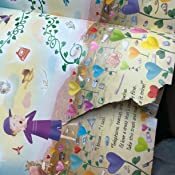 The magical princess creates a wand from a stick, kisses it, and proceeds, with verse, to gradually transform clusters of debris into lovely things-birds, a castle, fancy dress, and a boat mobile. The place is finally a glorious garden, but the magic wand disappears into the wind. 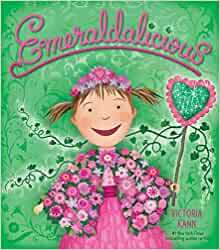 Pinkalicious promises that the seeds and love they have left will make the entire world "Emeraldalicous." Kann's mixed-media illustrations are brimming with color and detail, the latter perhaps an occasional detriment. Fans will continue their dedication, and teachers may choose to share this for recycling encouragement.-Gay Lynn Van Vleck, Henrico County Library, Glen Allen, VAα(c) Copyright 2011. Library Journals LLC, a wholly owned subsidiary of Media Source, Inc. No redistribution permitted. 3.0 out of 5 starsMaybe 3rd or 4th best in the series. Unfortunately my daughter loves these books. Pinkalicious is ok... A message to be learned, but this one feels like a rush to get to print. Not as truly awful as aqualicious or Lord help us with purplelicious where we get the origin story for why Pinkalicious started cutting herself in middle school... I mean that one is atrocious. Thank goodness I bought used copies of these books, had I paid retail I would have hated myself. 5.0 out of 5 starsA great story with a great message! Pinkalicious and Peter find out that their favorite park is covered in trash! They create a magic wand that helps them recycle and re-use the junk in the park. They also plant new flowers to grow. Soon the park is Emeraldicious! Why I liked this book - This is an awesome book for Earth Day! It gives the message; care for your environment and recycle! The illustrations are fabulous as with all of Ms. Kann's books. I really like Pinkalicious' cape, wand, and tiara that were made from flowers and plants. I really like how the story shows that you can re-use some of the "junk" lying around and make it into something great. I think everyone should do more of that. I think kids (girls AND boys - remember, Peter is there too!) 4+ would really like this book! I love all of the Pinkalicious books. They're so refreshing in a time when the family unit seems to be going down the drain, and kids are allowed to dress so provocative! My almost-8-year old has LOVED Pinkalicious for a couple years now (we even traveled three hours to go see the musical which she loved, too), and she has EVERY book, but this most recent delivery (not Emeraldalistic) she didn't have interest in reading for a few days. I really hope she isn't outgrowing Pinkalicious...I will continue to pre-order all of the upcoming books until I know for sure. 5.0 out of 5 starsPages are full of color and things to look at! My 4 year old is a huge fan of these books and so I added this one to her collection. Just like the others, this one doesn't disappoint. The pages are colorful and full of things to look at. The story line is cute and this has become a favorite bedtime read in our home. 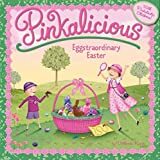 If you have a Pinkalicious fan, I highly recommend you add this one to your collection! My daughter loves the pinkalicious series. Some in the series are better than others.. Emeraldlicious is one of my faves! 5.0 out of 5 starsLet Pinkalicious Show Your Students How to be GREEN! 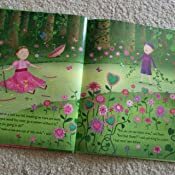 Pinkalicious is a favorite storybook character in my home and I often share it in the classroom. When the beautiful new Emeraldliscious arrived it was quickly scooped up and read front to back. I quickly realized that this book will make a great read for Earth Day in the classroom. The rhyming text is always a favorite and holds the attention of the reader. The point to the story is all about recycling and reusing in Pinkalicious style which happens to come in the color green this time around. Like the other stories in the series the illustrations and beautiful. Lots of green and pink filled pictures. However, no one turns the color pink or green in this book. 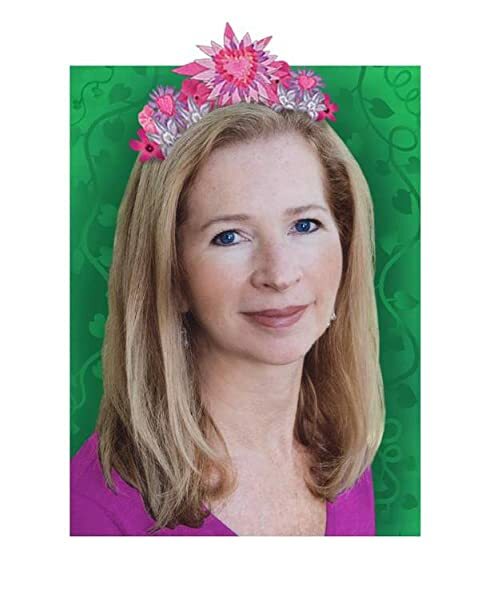 The story begins when Pinkalicious trips and breaks her tiara and wand. Peter and Pinkalicious us pieces of the Earth to create a new wand. We soon learn that this emerald wand is very special. Peter and Pinkalicious find out how special it is when they end up at their favorite park. Unfortunately, the park is covered with trash. With the help of the magic wand, Peter and Pinkalicious reuse the trash all over the park to create quite a kingdom. Eventually they lose the magic wand but they learn a way that they can keep making the world green! I knew my six year old granddaughter would just love this book, and she does. She already has "Pinkalicious", which she also loves. 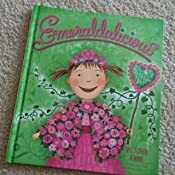 After reading "Emeraldalicious" to her she asked if she could bring it into school to share with her kindergarten class. Her teacher was delighted to read this to them. Another big hit in my granddaughter's book collection.